Mr Muhammad Khan son of Mr Fateh Sher Khan was born in 1946 at Jhang. 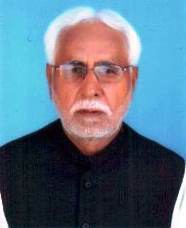 He served as Chairman, District Council during 1990-92. A landlord and a businessman, who has been elected as Member, Provincial Assembly of the Punjab in bye-elections held on March 3, 2014 against the seat fell vacant due to the disqualification of Mr Iftikhar Ahmad Khan, ex-MPA from this constituency. He has visited India, Saudi Arabia, Uzbekistan and Europe.